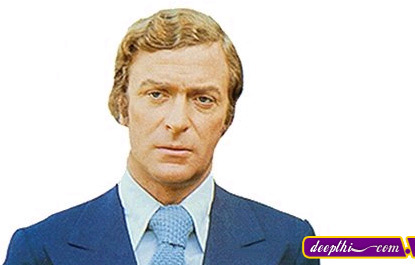 Michael Caine was born on Tuesday 14th March 1933. His real name is Maurice Joseph Micklewhite. He was born with a mild, non-contagious but incurable eye disease called Blefora which makes the eyelids swell and his heavy eyelids give him a rather sleepy and distinctive look. His Dad was a porter at London's Billingsgate fish market and his Mum worked as a Charlady. Michael has a brother called Stanley who is some 3 years younger than him. Michael did two years National Service in the Army and saw active service in Korea. In 1972 Michael saw Shakira Baksh in an advert for Maxwell House coffee and decided then and there that he was in love with her. He immediately made enquiries to find out who she was, expecting to have to travel to Brazil to meet her. Actually, she lived only a short distance away from him in London. Michael got her telephone number and asked her out and on 8th January 1973 they married in Las Vegas. They have now been married 28 years and they have a daughter called Natasha. In 1987, Michael and his family moved back to England. Michael's Mum died in 1989 and he then found out that he had a half-brother who had been born, illegitimately, in 1924, called David. David had been born with epilepsy, which was very hard to treat in 1924 and had spent his entire life in an institution. His mother had secretly visited him every Monday without any of the family ever knowing about him. David died in 1992. He spent many years as a struggling small-part actor in a variety of media, before winning attention for his performance as an aristocratic officer in Zulu (1963). His stardom was consolidated with roles such as down-at-heel spy Harry Palmer in The Ipcress File (1965) and its two sequels, and as the Cockney Romeo in Alfie (1966). Later films include Sleuth (1972), California Suite (1978), and Educating Rita (1983, BAFTA Best Actor). Nominated four times for the Academy Award, he won an Oscar for Hannah and Her Sisters (1986). Later films include Dirty Rotten Scoundrels (1988), Noises Off (1992), Little Voice (1998), The Cider House Rules (1999, Oscar for Best Supporting Actor), The Quiet American (2002, Oscar nomination), and Batman Begins (2005). He received a knighthood in 2000.